Heat oven to 450°F. Cut each baby potato in half. Toss with 1 tablespoon extra virgin olive oil, the rosemary, 1/2 teaspoon salt and fresh ground pepper. Layer on a baking sheet that is covered with parchment paper and roast 20 minutes. Meanwhile cut the zucchini into half moon slices and the red onion into chunks. Peel the garlic and slice thin. In a skillet sauté the zucchini, red onion and garlic in a tablespoon extra virgin olive oil, adding salt and the vegetable seasoning (to taste). Sauté until tender-crisp. 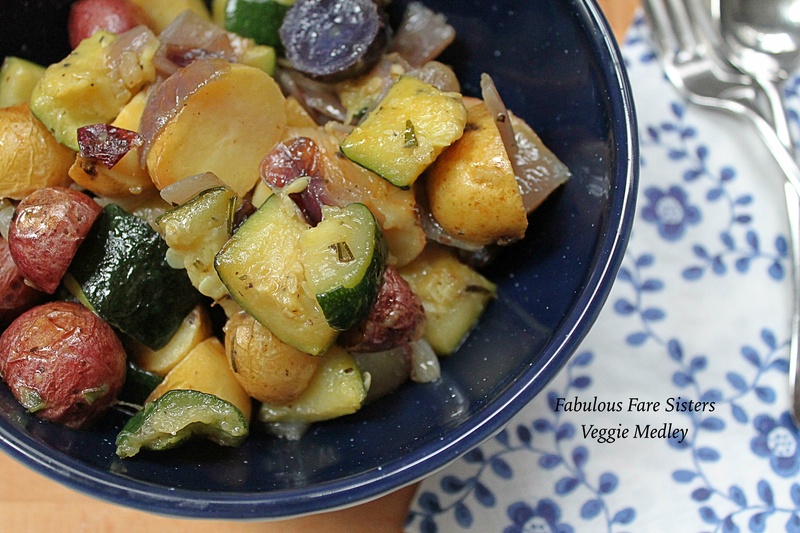 Remove the roasted potatoes from the oven and toss with the zucchini mixture. Serve hot. Makes 4-6 servings. 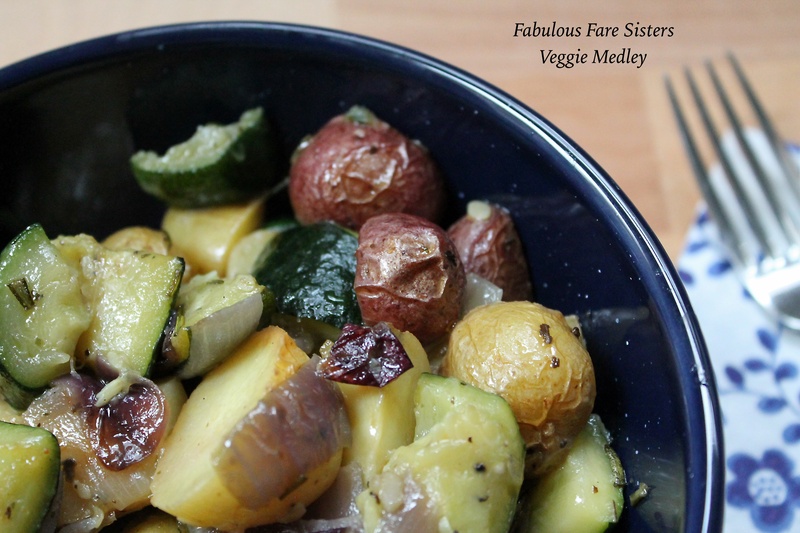 I make a version of veggie medley every week for my lunch, so right on with this dish! !